At HIMSS19, Salesforce Health Cloud unveiled three new capabilities aimed at providing better, more integrated care. Looking to further its foothold in the healthcare space, this morning at HIMSS 2019 Salesforce unveiled three new capabilities of its Health Cloud system. The new capabilities will be focused on social determinants of health, in-home care, and personalizing the patient journey. The social determinants of health feature will allow providers to capture information about a patient's living situation, including transportation options, housing status and care network. According to the company, payers can use this data to deliver personalized or preventative medicine. The second feature focuses on mobile-first in-home care collaboration. The system was designed to help care providers extend care into a patient's home and break down care silos. 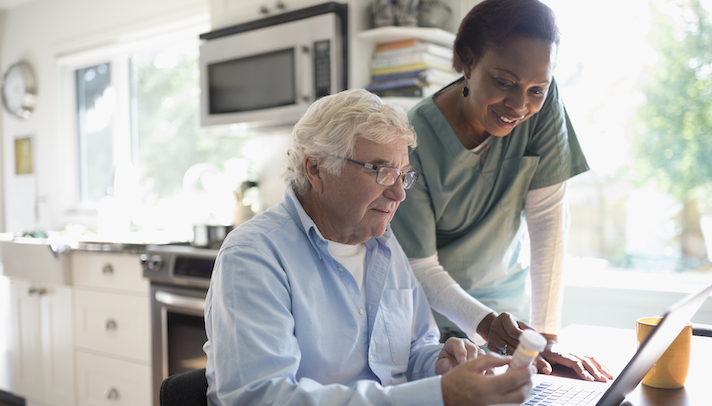 This feature will include an element called Field Service Lightning for Health Cloud, which has the ability to connect home care organizations with the patient's other providers. “It is less expensive to take care of people at home and people want to be at home, desperately. [But] the place…with the greatest variation is the home. Hospitals generally work pretty well and there is a lot of similarity between them,” Newman said. “When people leave those settings it is the Wild West. For those folks who have all the resources, it's great, but the majority of the population doesn’t have that. So to be able to give people care in their home is going to be a great advantage. I think it is only going to grow." Lastly, the Personalized Patient Journeys feature integrates Health Cloud and salesforce Marketing Cloud so that providers are able to personalize different campaigns to each patient. The feature can monitor clinical and nonclinical engagement. It can build lists and then send targeted emails.